Can Blogging Really Help Build Your Business? Home/Blog/Can Blogging Really Help Build Your Business? Blogging is the highest form of customer service. Last week, I spoke at Schenectady Downtown Improvement Corporation, the topic, “Using Social to Build Your Business.” It was a great turnout, and the participation was interesting. Even businesses that are working with social media are still asking tons of questions. Most of the questions were about blogging. I went out to look for information on all of these topics. It’s always interesting to ask the “experts.” There’s lots of evidence to support blogging for your business. I think the big question is why bother to blog at all and what can blogging do for your business? Over the years businesses have provided information through advertising in traditional places such as newspapers and television. All of these places provided a venue for letting the customers know who you are. One of the differences was the content was provided by the media rather than the business. The media would “spin” the information to make the business look good. Everyone knew that; including the potential consumer. Did the consumer believe you? The answer to that question is open for discussion. For instance, how can you tell someone you provide great customer service? You really have to show them. Blogging is a way for a business to get close to your customer. This is a link to Flokka, where women in business blog; it has good ideas. Blogging is a low cost-alternative to having great web presence. Having someone else in command of your web site is costly. If you want the information posted to be relevant, you will still have to provide the content. Why not do it yourself and make it more personal? Updating your blog is quicker, easier and cheaper. We’re back to the price issue again. This is really a chance for you to show the customers your knowledge and expertise as well as share it with a larger audience. Since the purpose of the blog is to connect with your customers, you can invite your customers as guest bloggers. Your employees can also blog. Wegman’s, a family owned market has created a blog that has lots of loyal followers. The blog is called “Fresh Stories” and features employee bloggers who share recipes and ideas with their customers. 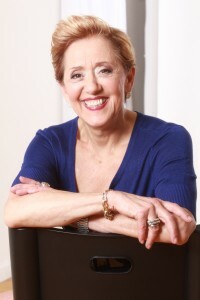 Mary Ellen Burris started writing for Wegmans in 1971 as the voice of the consumer. She began a weekly column that is published regularly in Wegman’s newsletter. The content is upbeat, fun and very useful. Wegman’s president writes regular blogs as do the employees. The key to making it work is being consistent and understanding the purpose of your blog. Ask yourself these questions: who knows more about my company then I do? Do I really care about my customers? Who is more hungry for business; me or my ad company? By the way, blogging with your customers is one of the highest forms of customer service. A blog is a way to get feedback from your customers. It provides great information, engages potential customers and says, “we care.” Building your business is all about building relationships. Check out this article from Forbes. After all, whose customers are they? Lisbeth Calandrino helps businesses build loyal relationships with their customers through social media and customer service training.